PITTSBURGH-Choice, the magazine published by the Association of College and Research Libraries (ACRL), has named Carnegie Mellon University's Joseph B. 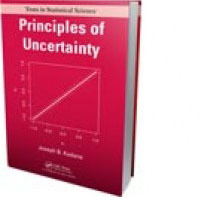 (Jay) Kadane's latest book, "Principles of Uncertainty," as an Outstanding Academic Title for 2012. Widely considered to be the premier source for reviews of scholarly titles, Choice annually recognizes the most significant print and electronic works that it reviews in a calendar year. The 2012 honorees include 644 titles in 54 disciplines and subsections. "Libraries worldwide rely on Choice to guide their selection decisions," said Gloriana St. Clair, dean of university libraries at CMU. "The books on this distinguished list represent the top one tenth of one percent of scholarly offerings." In its February 2012 issue, Choice highly recommended "Principles of Uncertainty," and called it "remarkable." The review commended Kadane on how he "begins at the most rudimentary level, develops all the needed mathematics on the fly, and still manages to flesh out at least the core of the whole story, slowly, thoughtfully, and rigorously, right up to graduate level. Major theorems all proved in detail appear here, but not for their own sake; the author always carefully selects them to clarify the basic meaning of the subject and his own views concerning the pitfalls and subtleties of its proper application." Kadane, the Leonard J. Savage University Professor of Statistics and Social Sciences, Emeritus, considers statistics to be an adventure in understanding how people make decisions and draw conclusions from data. Throughout his career, he used the Bayesian theory, both in its decision-theoretic foundations and in problems of elicitation and computation, to solve political science, law, physics, medicine and computer science problems. Kadane drew on his vast experiences in "Principles of Uncertainty" as an effort to explain Bayesian statistics and math. "This book addresses how to think about uncertainty," Kadane wrote in the preface. "It is addressed to those who want to know 'why.' I have chosen a particular point of view, the subjective Bayesian view, because this approach has best survived the tumult of doing statistical applications and worrying about the meaning behind the calculations." "Don't worry baby. It's going to be alright. Uncertainty can be a guiding light." The first chapters introduce one new concept or assumption, and the rest of the book explores the consequences of each new assumption. Kadane organized the book this way to permit the use of "just-in-time mathematics," or the introduction of mathematical ideas just before they are applied to advancing the main argument, which is about uncertainty. In August 2012, the International Society for Bayesian Analysis awarded "Principles of Uncertainty" its coveted DeGroot Prize, which is given every two years to honor an outstanding statistics science book. 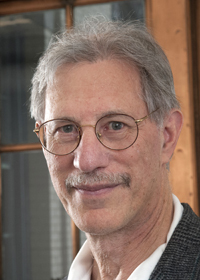 The award was established to recognize Morris H. (Morrie) DeGroot, the founding head of Carnegie Mellon's Department of Statistics and renowned author of statistics and decision theory books. For more information about Kadane's "Principles of Uncertainty," visit http://uncertainty.stat.cmu.edu/. Pictured above is Joseph B. Kadane, the Leonard J. Savage University Professor of Statistics and Social Sciences, Emeritus.